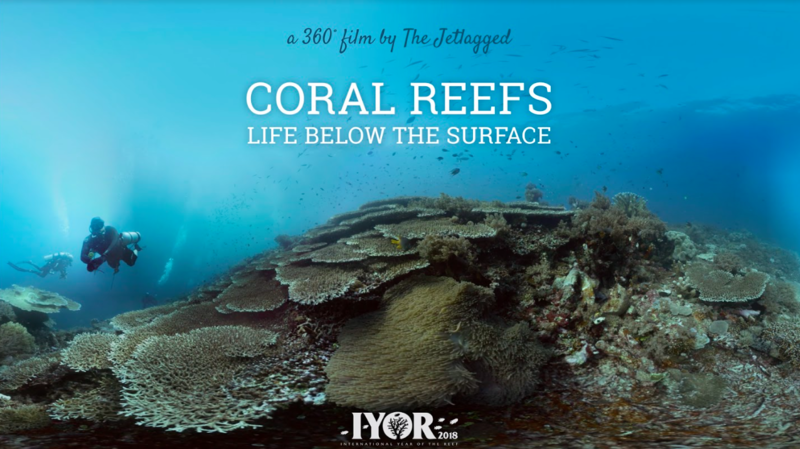 “360° Coral Reefs | Life Below The Surface” is The Jetlagged’s first 360/VR experience, produced in cooperation with ZMT Leibniz Center for Tropical Marine Research. This video can be viewed through a VR headset for the full experience. In the browser-based 360 version, you can click-and-drag to see the 360° view. The film is available in English, German and Indonesian.